Genius Within Programs help you turn craft into expertise, and mastery into ART. Journey to Self-Discovery or Gift, Meaning and Purpose as well as tailored training such as Superb Self-Confidence, Vibrant Energy, and Self-Mastery. Staff Audit/ Assessment can be used as a stand-alone diagnostic tool – to discover what is going on below the radar. Get a point of reference; a starting point that progress can be measured against. Get great great feedback; uncovering risks, threats, opportunities and potential growth areas. Pure untapped potential: The more you can uncover, develop/ cultivate, and tap into the potential of the people who work for you, the more your business will thrive and prosper… and by association, everyone and everything else, because it has a knock-on effect. 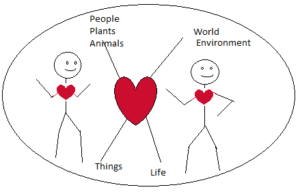 Ideal: People ♥♥ people, the world, acting as guardians to the planet and everything in it. The Genius Within Programs are supported by a number of factors to make sure the Transition and Transformation is as seamless as possible, and can happen as quickly, easily and comfortably as can be. We would like to introduce you to a more fulfilling way of being – for you and your staff; where you will have a greater contribution to make, not only at work, but also in the greater scheme of things – your family, community, social sphere, and more. 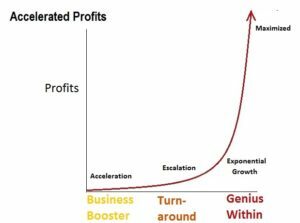 One of the many spin-offs of this activation of the genius within business is exponential profits and a thriving business… but also much more in terms of the growth, development and flourishing of your employees, and the ripple-effect it has on everyone they interact with.